On this Theme Thursday Season Two webcast, Jim Collison, Gallup's Director of Talent Sourcing, and Maika Leibbrandt, Gallup Advanced Learning and Development Consultant discussed the theme of Adaptability. People with high Adaptability engage with change enthusiastically. Adaptability likes to be "in the now" and the present moment -- it is a relationship-building theme. People exceptionally talented in the Adaptability theme like to go with the flow. Adaptability discovers the future one day at a time. People with Adaptability don't need to plan far in the future because they prefer to plan for the immediate present. They are excited and energized by change. They are attracted to a morphing situation. While Clifton StrengthsFinder does identify a person's top talents, it cannot tell you -- as Maika put it, "You are great at this talent and you are rocking it." Rather, Clifton StrengthsFinder identifies what talents show up most naturally for you. I cannot tell you if you are using your talents well. It also identifies your bottom non-talents. While you can work on improving your non-talents, the best they will ever be is mediocre. In contrast, you can improve your top talents exponentially. 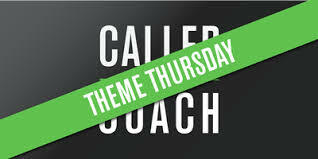 In seeking to improve your top themes, working with a Gallup-Certified Strengths Coach is key. A successful strengths coach can help their clients improve upon and "rock" their top themes. To hear more about Adaptability, watch the full video or listen to the audio above. To learn more about Adaptability, watch the video below.